We are sorry to share the news that Jay Harold Ellens, one of the founding members and a significant presence in psychological biblical studies has passed away. Jay Harold Ellens was born on July 16, 1932 in McBain, Michigan, a rural agricultural community not far from Cadillac. He passed away peacefully on April 13, 2018. He was at home in Novi, Michigan surrounded by his family when he passed. He is survived by Mary Jo (Lewis) Ellens, his spouse of 63 years, two sisters, one brother, seven children, eight grandchildren and four great-grandchildren. Harold received a Bachelor’s degree from Calvin College; Master’s degrees from Calvin Theological Seminary, Princeton Theological Seminary, and the University of Michigan; Doctoral degrees from Wayne State University and the University of Michigan. He was a US Army Chaplain from 1953 until he retired with the rank of Colonel in 1992, after serving for many years both on active duty and on reserve duty. Harold served six Christian Reformed Church congregations during his first 25 years as a civilian pastor, followed by nine Presbyterian Church congregations during the next 31 years. He was known well as a pastoral counselor in his parishes and in the general community; and he was a scholar who notably explored the relationship between spirituality and human health. Harold was the Founding Editor in Chief of the Journal of Psychology and Christianity. He served for 15 years as Executive Director for the Christian Association of Psychological Studies International. At the time of his death he was a Professor of Biblical Studies and Spirituality at the Ecumenical Theological Seminary of Detroit, after having taught part-time throughout his life at Oakland University, Calvin Seminary, Princeton Theological Seminary, the University of Michigan and Oakland Community College. During his lifetime Harold was author, co-author or editor of 178 books and 167 professional journal articles. He was a known lecturer on many topics and was knighted for his contributions by Queen Wilhelmina of the Netherlands in 1974. He was founder and director of the Lyceum in Farmington Hills, Michigan, which met monthly for more than 20 years, providing a presentation and discussion venue for a diverse range of speakers and musical performers on topics that spanned the humanities and science. The Lyceum met in Harold’s expansive library, which housed a wide-ranging collection and included sub-collections that addressed his specific scholarly interests. More than anything else, throughout his entire life, Harold was a mentor. He encouraged individuals to reach for their next level of potential. He believed in the unlimited potential and goodness of every individual. He was often able to help those individuals, who sought him out, to break what had seemed to be impossible barriers. In spite of his many accomplishments, Harold always remembered his humble beginnings as a Depression-era farm child. He was friends with people of all backgrounds and all walks of life. Harold’s final wish was that we do not take his passing as a goodbye, but as something akin to a good night because he believed that we will meet on the “other side,” when the sun again rises. Categories: In Memoriam | Permalink. 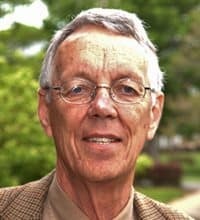 Donald Capps, retired Professor of Pastoral Theology at Princeton and a former member of the Psychology and Biblical Studies steering committee died August 26, 2015 from injuries suffered in a traffic accident. Capps was a significant figure in the development of Pastoral Theology, and wrote many books in the field, including two of particular note for psychological biblical criticism: Jesus, A Psychological Biography (Chalice, 2000) and Jesus the Village Psychiatrist (Westminster John Knox, 2008). The former book was reviewed in a Psychology and Biblical Studies session in 2000. He served as President of the Society for the Scientific Study of Religion from 1990-1992, and was book review editor for the Journal for the Scientific Study of Religion 1980-1983 and 1983-1988. He began at Princeton in 1981, retired as professor emeritus in 2009, but continued to teach as an adjunct. Read more at Planet Princeton. Categories: In Memoriam | Tags: Capps, Princeton | Permalink. It is with sadness we mark the passing of Marcus J. Borg, a significant Jesus scholar and author of twenty-one books on the historical Jesus, Christian faith, the Bible, and more. Among his many interests, Professor Borg was one of the group of scholars that advocated for the creation of what has become the Psychology and Biblical Studies Section of the Society of Biblical Literature. He served on the organizing committee and was the moderator of the first session, held in 1991. Since that time, he served on the Steering Committee and several times as a participant in Annual Meeting sessions. Categories: In Memoriam | Tags: historical Jesus, Marcus Borg, Society of Biblical Literature | Permalink. In addition to our regular sessions, the Psychology and Biblical Studies Section (SBL) is co-sponsoring a special session with the Scriptural/Contextual Ethics Group (AAR) to remember Walter Wink. Categories: Annual Meeting, In Memoriam | Tags: Wink | Permalink. A Memorial Service for Walter Wink (see previous post) will be held Saturday, June 16 at 12:00 pm at James Chapel, Union Seminary3041 Broadway New York, NY 10027. We hope you’ll come and help us celebrate Walter’s life! A reception in the Seminary’s refectory will follow the service. In lieu of flowers, donations may be made in Walter’s name to the Fellowship of Reconciliation. Parking is available in the Riverside Church Parking Garage. Click here for a map and directions to Union Seminary. Categories: In Memoriam | Tags: Wink | Permalink. 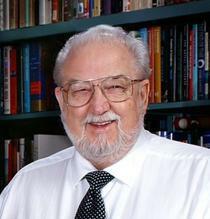 Walter Wink, pioneer in psychological approaches to the Bible and one of the founding members of the Psychology and Biblical Studies Consultation in 1991 passed away at his home in Sandisfield, MA on May 10, 2012. He had been diagnosed with Lewy Body dementia and unable to participate in the SBL in recent years. Categories: In Memoriam | Tags: transformation, Wink | Permalink.